Catherine & Matthew got married on the 7th of May. The ceremony took place at Christ the Redeemer and their wedding reception was at the Tullyglass House Hotel. 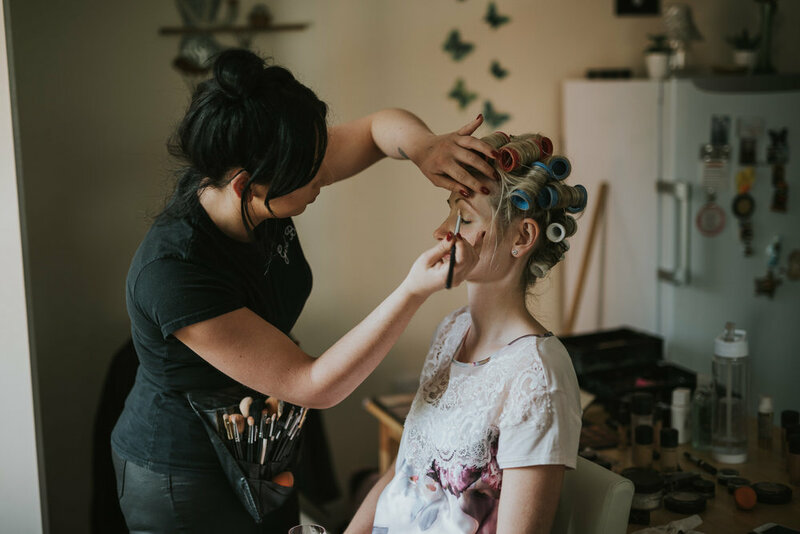 Matthew initially reached out to us to photograph his and Catherine’s wedding and we made arrangements with him to meet up with them both and have a chat about their plans for the day. It was a pleasant surprise to find out when we met with them that Laurene & Catherine already knew each other. 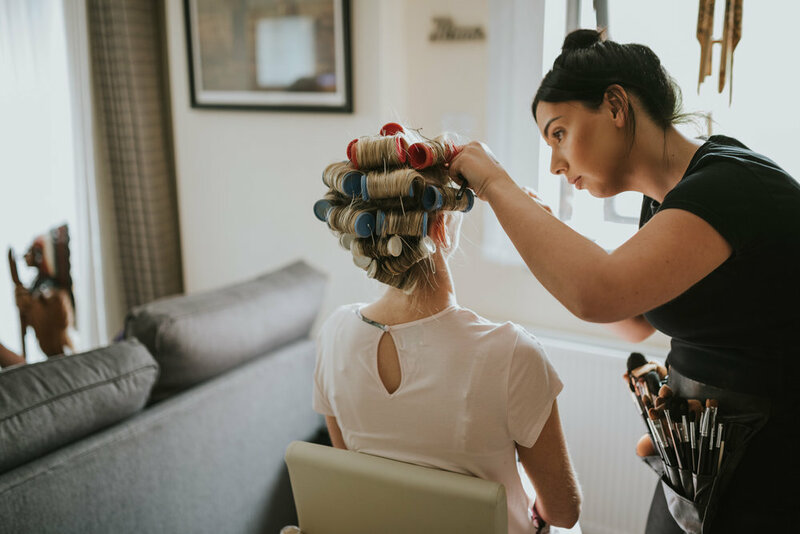 On the morning of the wedding we met with Catherine and her bridesmaids at her mother’s home in Dunmurry to photograph everyone getting ready. Everything ran like clockwork and there were no worries about running late for the ceremony. We met up with Matthew and his groomsmen at Christ the Redeemer and had plenty of time to get a few photos of the boys and to get ready for the ceremony before Catherine and her bridesmaids arrived. After the ceremony we made our way to the Tullyglass House Hotel in Ballymena for the wedding reception. Catherine and Matthew arrived a little later than expected but it wasn’t an issue for us as they opted to split their bridal photographs to before and after their wedding meal. It was a beautiful, bright sunny day which is what most couples want on their wedding day but can cause some issues for us as photographers. All Northern Ireland wedding photographers keep their fingers crossed for cloudy skies. As we have photographed weddings at Tullyglass before, we already knew of a more shaded area that we where able to use for family photographs and by the time the wedding meal was over the sun wasn’t as high in the sky so we were able to use the more open spaces around the hotel. Like us, the most important thing in Catherine & Matthews lives is their children and this was evident throughout their wedding day. From early in the morning we watched Catherine taking time out to play with her kids right the way through to watching them both spend time with their kids on the dance floor after the first dance. This was a very family orientated wedding and we loved being a part of it.